When you end up with a yoga related injury, it’s a little…disillusioning to say the least. But the truth is, it’s not yoga. It’s the way yoga is being practiced. Pain is the body’s way of telling us we’re not properly aligned. Yoga does exactly what it’s supposed to: teach us where our bodies need to heal and how to heal. The key is to just listen. Yoga is therapeutic. It’s known for it’s almost magical healing properties. It’s basically like the fountain of youth. So when you end up with a yoga related injury, it’s a little…disillusioning to say the least. It’s like finding out Santa doesn’t exist and Rudolph doesn’t even have a red nose all in one day. I mean, it’s actually just a bit offensive. You’re supposed to heal me, yoga! Not hurt me! How dare you! But the truth is, it’s not yoga. It’s the way yoga is being practiced. Pain is the body’s way of telling us we’re not properly aligned. Yoga does exactly what it’s supposed to: teach us where our bodies need to heal and how to heal. The key is to just listen. Learn proper alignment for all poses, especially foundation asanas like sun salutations and the like. Learn from experts, and I don’t necessarily mean your yoga teacher. Your teacher may or may not have been taught correctly. 1. First determine why you got injured, or you’re doomed to repeat the same process. Were you over reaching? Pushing too hard? Ignoring signals from your body? Pain and yoga are not compatible. Discomfort is fine. Shaking muscles are expected. Burning thighs or aching arms from holding poses go with the territory. Sharp or wrenching pain is not a good thing. Over-stretching also is bad, bad, bad (I’m so guilty of this. I get overly enthusiastic about my dreams of being boneless and mega-flexi.) What you’ll actually do is create micro-scars along the muscles that decrease flexibility. Yoga teaches us that as with all things, you cannot force an outcome. A rose needs to bloom naturally. You cannot force it open. Let time do it’s work, and let your practice be a healthy one. 2. Treat the injury: in the nursing world, we have an old fashioned go-to heal all injuries called RICE. Rest (don’t put strain on the area), Ice (immediately after the injury, can alternate with heat if it’s a muscle strain), Compression (wrap the effected area to help minimize movement), elevate (prop that leg up; it helps reduce swelling and movement. Another key trick is to take turmeric and/or NSAIDS like Ibuprofen or Advil that help reduce inflammation. 2. Back off, but don’t stop your practice: unless you have a major injury, you can actually continue practicing. Just remember to not put excessive weight or strain on the injured area. Almost every single pose can be modified or skipped. If you stop, I promise you it will be harder to reengage in your practice than you’d suppose. Relaunching a habit is much harder than maintaining one. 3. Counter-strengthen or stretch the areas in conjunction to your injury: for example, my right knee sometimes gives me problems. I call it my Nancy Kerrigan knee, and it just will not comply with my intentions. It’s actually not my knee that’s the issue. Knee problems usually are the result of tight hip flexors. I shifted my focus to bringing flexibility to my hip flexors and I experience less and less issues from my knee. 4. Alignment is as important as flow: When I first started doing yoga, I had non-stop pain around my rotator cuff because I was doing my chaturangas incorrectly. Learn proper alignment for all poses, especially foundation asanas like sun salutations and the like. Learn from experts, and I don’t necessarily mean your yoga teacher. Your teacher may or may not have been taught correctly. Check out Youtube videos or books by greats like Kino MacGregor or David Garrigues, both master yoga practitioners who generously offer free tutorials online. Iyengar yoga focuses specifically on alignment, so be sure to incorporate this into your practice more. Try to avoid being locked into just one style. 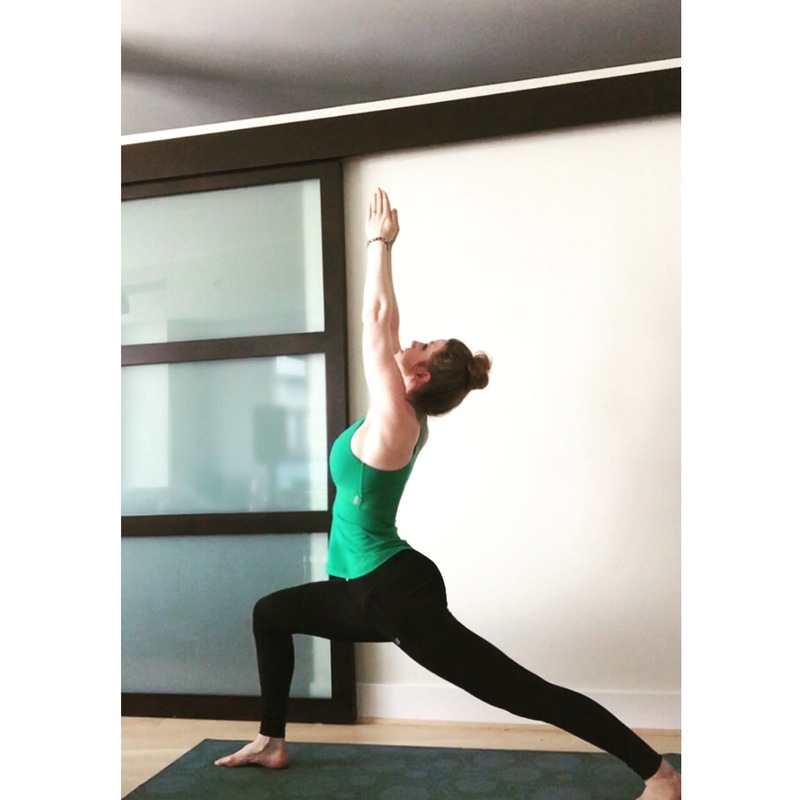 I passionately love a very intense Ashtanga, Rocket, or Vinyassa flow session, but I try to mix in other styles to make sure I stay more balanced. Every style of yoga offers something the others do not. Injuries don’t have to happen. As the saying goes, an ounce of prevention is worth a pound of cure. So listen to your body, and when you feel pain, evaluate if you are using correct alignment or pushing too hard or past your body’s limits. Remember, we can practice yoga well into our 80’s and 90’s if we take care of our bodies. Yoga is amazing, healing, and healthy, so take care of yourself. Much love and happy practicing!